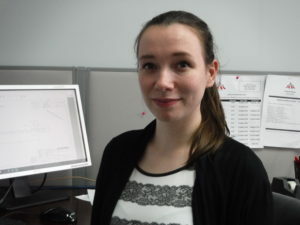 Welcome to our new intern – Spectrum, Inc.
Rachel Smith, an Electrical Engineering honor’s program student from Cleveland State University, has been hired by Spectrum as an intern this summer. This will be a great opportunity for Rachael to gain practical experience in Electrical Engineering. Rachel is excited to gain new skills while also making an impact with the Spectrum team. We welcome her to the Spectrum team.